You'll be able to try out Pokemon Sun and Moon for yourself when the first playable demo launches tomorrow. If you're looking forward to the launch of Pokemon Sun and Moon next month, you'll probably be excited to hear that Nintendo is going to release a playable demo of the game tomorrow. Nintendo says that the demo is "your chance to meet the Pokemon that can be found in November 18's Pokemon Sun and Pokemon Moon!" The demo will be called the Pokemon Sun and Pokemon Moon Special Demo Version. It will be available on the eShop, and will include Ash-Greninja, the Pokemon that appears in the animated TV series Pokemon the Series: XYZ. You'll be able to adventure with Greninja, who can turn into Ash-Greninja, and once you finish the demo, you'll be able to carry it over to the full version of the game after launch. There's no word on how much content will be included in the demo, but being able to carry Greninja over to your full game is a nice plus. 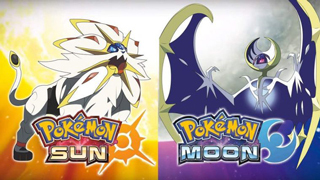 You'll be able to pick up Pokemon Sun and Pokemon Moon on November 18, one month after the demo launches.